Federal and State R&D Tax Credits provide excellent opportunities for innovations in AV technology. Infocomm’s 2017 Emerging Trends Day highlights the main emerging areas: microphones, displays, digital signage, collaboration, the cloud, and managed services. The audiovisual industry is pursuing an astounding trend towards changing both the workforce and the consumer industry. Audiovisual technology is geared towards enhancing communication and interaction throughout a variety of sectors. It incorporates microphones, displays, digital signage, collaboration, the cloud, managed services, and many other facets. In order for the seamless integration of AV across the aforementioned sectors, interoperability and new network standards are required. 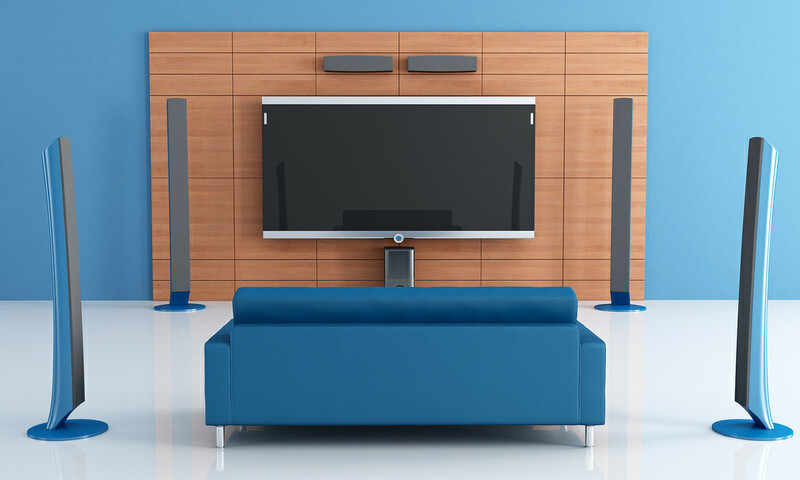 Moreover, customers now demand that AV fits the mold of their existing environments. Contrary to user demands, AV technology was designed to work specifically in a space; however designers now must design technology that the user requires. With growing adoption of AV technology, network management will be critical in order to ensure successful deployment of applications on personal devices (concerning BYOD policies), network security, and cross-platform integration. InfoComm estimates the global AV market will be worth almost $183 billion by 2020. Alongside this growth, any companies engaging in development and innovation in AV technologies are now eligible to receive Federal and State Research and Development Tax Credits. Eligible costs include employee wages, cost of supplies, cost of testing, contract research expenses, and costs associated with developing a patent. On December 18, 2015, President Obama signed the bill making the R&D Tax Credit permanent. Beginning in 2016, the R&D Tax Credit can be used to offset Alternative Minimum tax and start-up businesses can utilize the credit against $250,000 per year in payroll taxes. I. Commercial/Retail: Digital signage, kiosks, media players, cameras, televisions, and other home audio and video devices. These AV devices are most often purchased as components or pre-packaged systems by the end-user. II. Residential: Includes home theater and whole-house automation. AV professionals serve this market to introduce the concepts of the systems as well as integrate and install. Components can come individually or part of a whole, depending on whether the application is small or large scale. III. Professional: Usually system-focused and includes commercial-grade equipment with some consumer or ‘prosumer’ gear. This is applicable in commercial, government, education, religious, and transportation facilities. This use requires design skills from an AV professional and installation skills from a systems integrator. Because of the sudden and rapid growth in AV technology, IT professionals are now gaining more knowledge about AV tech that will integrate it into an IT environment. Technologies such as streaming media, webcasting, digital signage, wireless, and new software are some areas causing shifts in processes, roles, and integration within IT. The industry can no longer rely on one standard to bring value to customers. Instead, it is necessary that the industry discovers new ways to deliver value to customers, especially when customers require the technologies to be built in order to fit their needs. Some of the most popular areas for growth in the AV industry which were prevalent in the 2017 InfoComm Emerging Trends session, include microphones, displays, digital signage, collaboration, and the cloud. By 2022, the microphone market is expected to grow to $2.07 billion, a CAGR of 6.9%. Since consumers demand better audio experience, companies are developing better sound-to-noise (SNR) in microphones. It is expected that quality and implementation of this technology, which helps complete high-fidelity sound recording in noisy environments, will improve alongside developments in voice command technology. Today, microphones are essential in all electronic products, whether it be for voice-over texting, asking Siri a question, or GPS. There is a price premium associated with technology that employs microphones. Companies are finding ways to incorporate microphones into other industries, including sensor technology and healthcare. The main challenge within microphone technology is that microphones face some difficulty in capturing sound from a distance. Furthermore, microphones are built to capture sounds, not speech. In this regard, new advancements are being made to make microphones more sensitive in picking up speech and assuming what the user is saying. This will help avoid transcription errors. In addition, smart microphones have emerged as an alternative solution to integrated voice input and processing in which ultra-low power consumption is key.” Smart microphones offer voice enhancements that improve usability of speech recognition. This is most prevalent in smart phones now featured in Amazon’s Alexa, Windows’ Cortana, and Google Now. In fact, most products already use three to four microphones to enhance hands-free calling and voice commands. Some smart phones even employ Microelectromechanical Systems (MEMS) microphones on the backs of devices to create richer audio fidelity in voice recording, noise cancellation, and better call and recording. 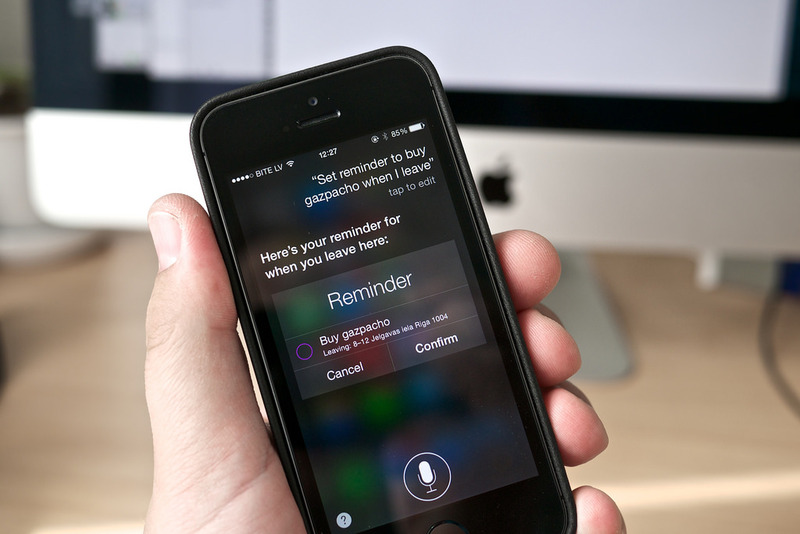 Voice-activated technology is on a steady rise in development and adoption. Machine learning capabilities and cognitive computing technology make it more possible for machines to transform natural language into actionable data. It is anticipated that the voice and speech recognition market will experience a 40% CAGR between 2015 and 2024, increasing to an estimated $5.1 billion. Voice-activated technology is expected to see advancements in mobile devices and applications, biometrics, smart cars, and IoT – all of which require precise microphone capabilities that pick up accurate sounds and speech to create machine actions. Because of its wide use and customer reliance, manufacturers seek to constantly add new features to their microphones. Some of the major market contenders include AAC Technologies, GoerTek, and Knowles Electronics. AAC Technologies: AAC microphones are included in smart phones, tablets, wearable technology, and PC notebooks. In February 2016, AAC partnered with Vesper to commercialize the world’s first piezoelectric MEMS microphone for consumer electronic devices. It is anticipated that such microphones will be immune to environmental obstacles including water, shock, and dust. The new microphone features a very high SNR ratio with low noise. As a result, there is more advanced acoustic performance for a wider range of applications. GoerTek: iPhone 7 and 7 Plus employ several MEMS microphones offered by GoerTek. The two front-facing bottom microphones are sourced by GoerTek and Knowles. GoerTek is ranked number 2 in the MEMS microphone market. GoerTek has over 7,800 patents, and is leading in acoustic, optical, wireless, software, and system integration software. Knowles Electronics: Knowles produces its own micr ophone dies and holds the number one spot for market share in the MEMS microphone die production. It dominates 43% of the market share.10 The front-facing bottom microphone on new iPhones is from Knowles and GoerTek. The company’s newest technology ensures crystal clear sound reproduction with an immersive, high-fidelity audio delivering true-to-recording in-ear earphone listening experience. Knowles creates sophisticated products in hearing aid components, MEMS, transducers, capacitors, and oscillators. Knowles also offers hardware and software solutions for intelligent microphones, voice processors and others that optimize performance of audio signal paths. . The display market is expected to grow to $169 billion by 2022. High dynamic range (HDR) is one of the most clearly visible and significant image quality improvements in the 21st century. Other improvements are being made, which have significant impacts on the future of smart phone and mobile device industries. 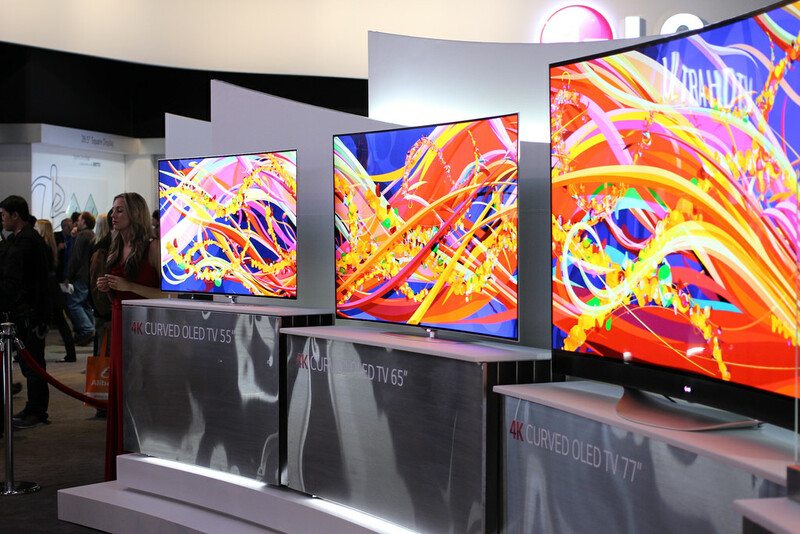 Displays are seeing substantial advancements with organic light-emitting diode (OLED) technology. OLED displays are mass-produced for phones, tablets, TVs, and wearable technology, including the iWatch. It is anticipated that by 2026, the OLED displays market will reach $57 billion. In fact, plastic active-matrix organic light-emitting diode (AMOLED) panels are being utilized instead of conventional glass-based displays since they are thinner and lighter. Because it is also flexible, AMOLED panels are even more applicable to varying forms of mobile devices. Plastic26 and flexible displays are most common in recent smart phone designs and wearable devices. 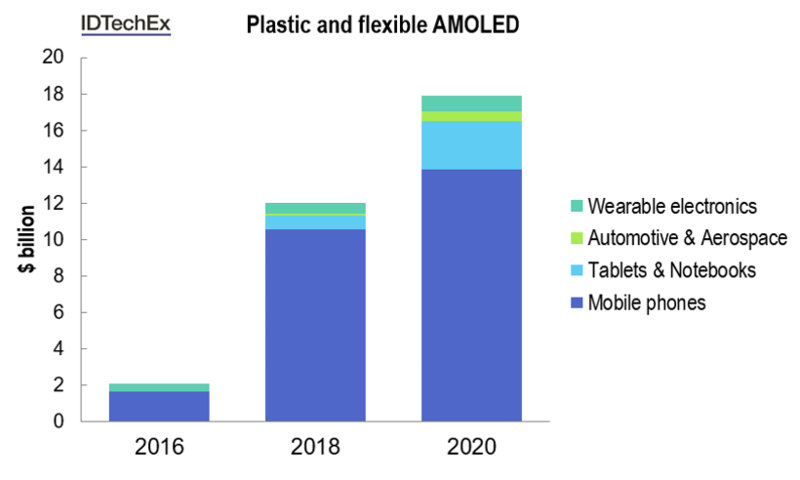 The figure above, sourced from the IDTechEx, demonstrates the plastic and flexible OLED display revenue forecast in four market segments. The smart phone industry is changing as a result of development in flexible AMOLED displays that offer higher performance and design. Samsung’s OLED displays come from Samsung Display, which is the dominant supplier for OLED mobile displays in 2016. Apple also receives its AMOLED panels from Samsung Display. The display panel is thin, light, and features curved edges. Complexity in the OLED manufacturing process to attain these features have made production of advanced displays slower than anticipated. In 2014, manufacturers of display panels reduced the prices of HD and Full HD in-cell and on-cell modules. As a result, it is anticipated that HD and FHD adoption in smart phone displays will increase in the next several years while 4K UHD is expected to enter the smart phone market in coming years. Growth in displays must be able to handle multiple inputs and achieve the goals of all applications—whether it is reaching an audience in a large room or functioning in direct sunlight on a watch. Simple adjustments such as adding deeper blacks or making brighter whites will give images more improved visual impacts, and thus achieve the intended goals. Advanced displays must take into consideration video compression, especially when most video-processing today is conducted through the internet and on the cloud. Video compression technology eliminates redundancies to transmit video content more efficiently, however quality is usually lost during this process. In fact, the higher the compression ratio, the more data and quality is lost during the compression process. Since consumers are demanding higher quality broadcasts, it is necessary that compression technology alongside displays fulfills consumer demands. 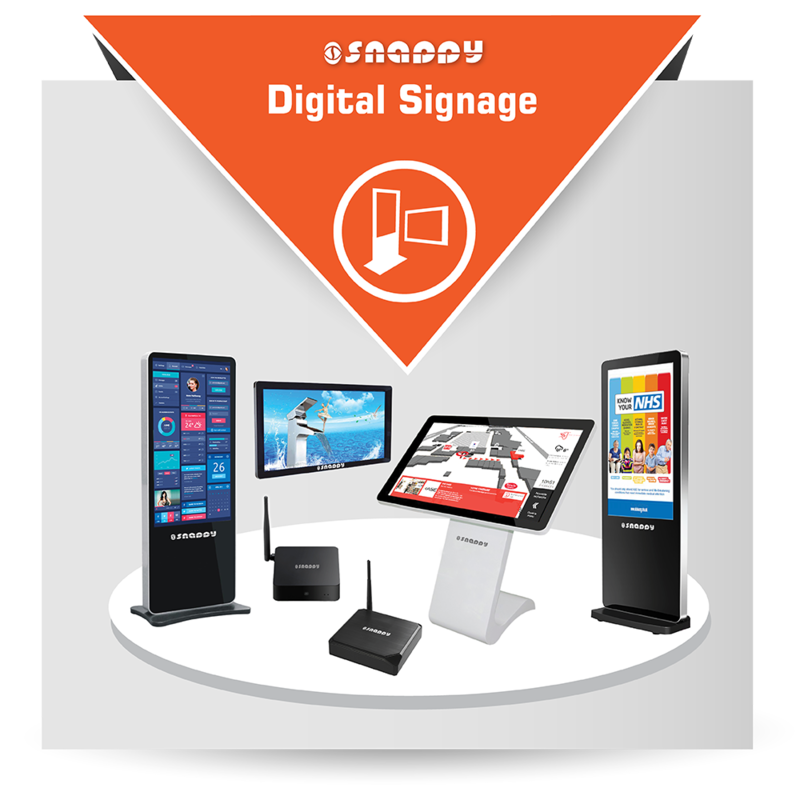 The digital signage market is expected to grow to $27.3 billion by 2022. Improvements are constantly made in visibility, flexibility, and energy efficiency of electronic signs. Such technological advancements change the ways in which marketers reach consumers. It adds value in consumer experiences and optimizes store performance and processes. Now, users can change content on advertisements easily and quickly from personal devices. They can display not only letters and words but also pictures and graphics. This creates an informational and interactive use of marketing and advertising, which is unparalleled in traditional signage. Smart signage is gaining popularity as the market realizes which messages generate positive reactions from consumers. Such signs pick up facial emotions and motions.28 Depending on what it reads, it creates a corresponding rating for that message. Smart signs are capable to deliver advertisements geared towards the specific type of person looking at the screen. For example, it learns and collects information about consumers’ interests, then uses that to deliver more appropriate advertisements and even promotional offers. In Japan, for example, some digital signs have barcodes integrated into the ad content, allowing customers go to checkout counters to redeem free items or discounts. This form of digital signage helps advertisers determine what products they should be advocating for in the market to reach a specific client base. Digital signage is the future for advertising and marketing campaigns. It is anticipated that future growth in digital signage will increase the amount of consumer interactions. For example, Nike already employs digital signage to project custom designs onto sneakers so consumers can have a visual of what their final product will be before purchasing it. Smart signs are the first example of digital signage that is personalized to the needs and specifications of individual consumers. It is only a matter of time before such signage becomes ubiquitous. Digital signage will eventually have to incorporate predictive modeling analytics coupled with big data to reap even more benefits to advertisers and marketers. Predictive analytics can facilitate advertisers to estimate key data items so they can determine the best ads to show to particular customers. It was found that organizations using predictive analytics are twice as likely to identify high-value customers, according to Aberdeen Group. This is something to consider in the advancement of digital signage as an AV technology. Collaborative technology enhances the ability for all individuals to work together to achieve defined and common business objectives. Collaboration is anticipated to grow to $49.5 billion by 2022 and is most prevalent in professional working environments where UC, video conferencing, and huddle rooms are readily adopted. An important point to consider is how collaboration and sharing all forms of documents, data, images, and video will be standardized. What makes collaboration in the work environment different now than in the past is that users know better than anyone else what products they require to be effective. Consumerism led to ‘democratization,’ in which the user experience trumps the IT technical selection process. In this regard, it is no longer up to the IT departments to make decisions on what users require for best experiences—they are knowledgeable enough to make their own tech decisions. It may be a challenge for IT departments to accept this reality; however, it is required to achieve collaboration efficiency. communications (UC) describes the integration of enterprise communication services to meet the collaborative and working needs of professionals in the same environment. UC includes instant messaging, audio and visual services, web and video conferencing, and various other necessary business applications. However, as previously mentioned, all processes that were formerly used to pick the best technology are no longer representative of the best practices. 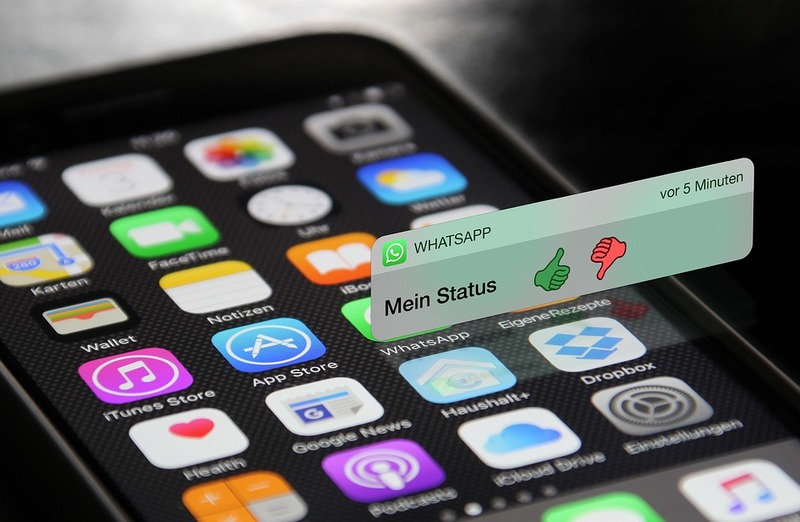 It no longer matters what tech managers believe are the best; the new generation of users know what is needed, such as instant messaging and video conferencing, and thus can help the organization select an optimal UC package that meets all specific user requirements. This rise in the UC market results from the ability of collaborative software to deliver real-time communication services required for critical business operations. Now, enterprises incorporate new solutions in their systems to update the existing telephony and messaging infrastructures. What makes UC technology desirable for increased collaboration is its scalability and flexibility to meet all user demands as well as essential business tasks. Furthermore, it accommodates the multiple functionalities of a communication system on one platform. As a result, collaboration and telephony become essential and easy tools to employ in any business environment. Video conferencing is another form of collaboration as a result of increased globalization in businesses and new requirements for scalable communication methods. Another reason video conferencing is flourishing is because hardware costs are decreasing. In this regard, excellent devices are more affordable, which makes it a more favorable investment in businesses seeking to increase collaboration and transparency efforts amongst workers. Finally, the creation of well-equipped, high-tech office spaces for small meetings has the ability to enhance business collaboration. These are known as huddle rooms. 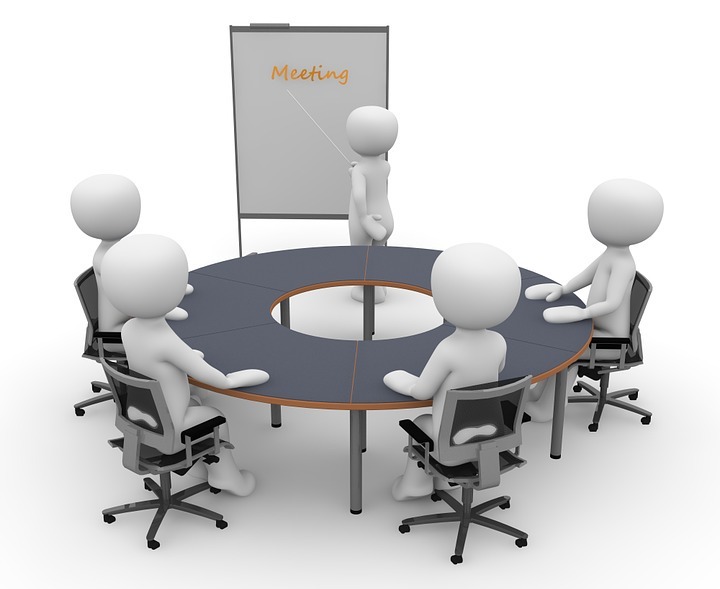 Large enterprises ought to look for manageable solutions and cost-effective devices to include in huddle rooms. Determining these features goes back to the previously mentioned point that user preferences must be taken under consideration first. As one can see, new advances in audiovisual technology change the landscape of the business world. Advanced technology, such as the Acoustic Beam, has the ability to eliminate background noise in conference calls. Companies such as Polycom seek ways to advance the use of huddle rooms because they realize that future collaboration will rely on interaction via video, instant messaging, web streaming, content sharing, and audio tools. Huddle rooms are the future of collaborative efforts and efficiency in the workplace, especially with a reliance on newly advancing audiovisual technologies in the market. The cloud is expected to have significant growth of up to $42.5 billion by 2022. At first, it was primarily adopted to increase efficiency and reduce IT costs. Now, it is increasingly useful in fueling innovation and growth. There are four types of models for cloud computing, as outlined below. There are four types of models for cloud computing, as outlined below. Public: Fully owned and provided by a third party vendor and available for open use by the public - most common in cloud storage, online office applications, and cloud-based web hosting and development. Community: This offers multi-tenancy. It is restricted to organizations from a specific group and is driven by common computing concerns including regulatory compliance and performance requirements. Private: A private cloud is for a single organization and its exclusive use. It can be owned, managed, and operated by the organization, a third party, or a combination of both. Hybrid: This cloud combines two or more cloud infrastructures to enable data and application portability. It is an increasingly popular alternative amongst enterprises. Regardless of the type of cloud employed, cloud security remains a pressing issue. Data breaches and loss are the greatest concerns. Cloud computing creates new avenues for attacks and loss of data integrity. Such risks must be taken into consideration when deploying a cloud. The cloud and its security is only as good as the measures taken by its creator. Even if an organization employs a public cloud with built-in security measures, the organization should take additional measures to enhance the security. Hybrid clouds integrate the scalability of public clouds with the security of private ones. Hybrid clouds are unique in that a single application or user interface manages the data that can be located inside and outside a firewall. Microsoft pursued efforts with Dell to create the Cloud Platform System. This cloud is beneficial to organizations seeking to leverage public cloud benefits while maintaining some aspects of the workload in a private environment. Cloud innovation is vital for development in mass customized service delivery on the Internet. Incorporating cloud computing with mobile devices creates new avenues to virtualize anything as a service, whether it is banking, healthcare, or education.21 Cloud computing also can change the face of advertising to better understand consumer behavior and offer personalized marketing. 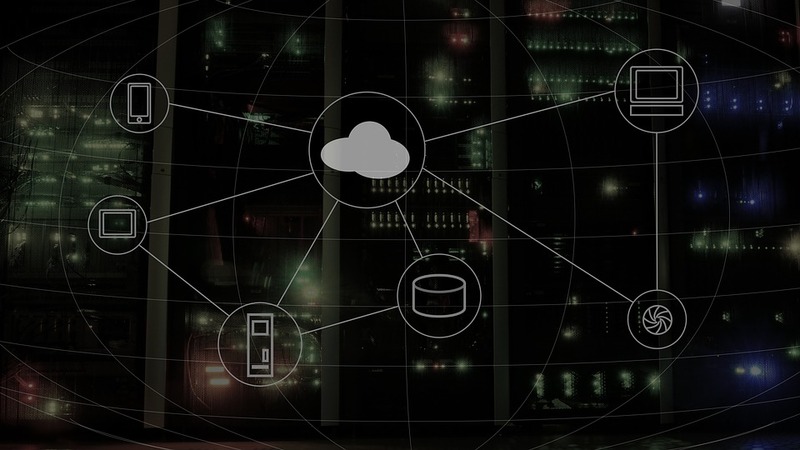 Some clouds offer standardized solutions to consumers in an effort to accelerate development, migration, and transformation of enterprise workloads. Apple’s iCloud service offers standardized solutions for personal use with easy access to documents, music, and whatever formats of data the user stores on the cloud. Apple also has the iCloud Drive to create compatibility with Windows and offer enhanced convenience and standardization in tagging and indexing cloud files. Further customization to the cloud is offered via the CloudKit, which helps application developers integrate cloud components in products. Finally, cloud-based video conferencing is becoming one of the most popular seamless collaborative technologies available to increase efficiency and innovation. As a result, organizations are no longer concerned with hardware and infrastructure costs. It is anticipated that by 2020, the cloud video conferencing market will reach $2 billion and will grow at a CAGR of 39.6% by 2019. Because employees are more often located outside of traditional work environments, adopting cloud-based video conferencing enhances the ability to collaborate anywhere at any time. It even supports BYOD practices, which are becoming a more popular policy in corporate rules. The cloud also permits those in diverse locations to meet, collaborate, exchange files and documents, and solve problems quickly and together. The bottom line is that cloud computing reduces business costs and increases overall productivity. Recent research indicates that 69% of enterprises see increased productivity, 65% experience better access to data, and 63% witness a reduction in operating costs. Most enterprises incorporate the cloud to increase video conferencing and collaboration efforts. At the same time, there seems to be a small yet steady decline in the overall market for video conferencing equipment. This is the case primarily because the market is transitioning from reliance on hardware-based technology to software-based solutions. This type of migration, according to a Videxio whitepaper, also translates to the fact that companies enjoyed a 25% reduction in IT costs. Quality & Performance: seamless service must be offered on all devices. Meeting all enterprise requirements must be possible without compromising on quality or performance. Compatibility with Existing Systems: it may be more beneficial to invest in a system agnostic videoconferencing system which can run on any operating system. This will help connectivity and balance out recent hardware purchases. Bandwidth & Network Capability: IT must identify and address the bandwidth needs before deploying any video software. IT must also ensure the network meets all needs. Scalability: it may be more beneficial to invest in a service that can be scaled up or down based on varying performance requirements. Security: this is the topmost concern for companies implementing the cloud. Security is only as good as the service provider outside the corporate firewall. It may be beneficial to build a second layer of security because reliance on the provider’s security measures may not be enough. These challenges, however, will be easier to tackle than challenges of the past, in which attaining software and then installing, testing, and immersing it in the user base was required. Now, everything can be done virtually on the cloud, reducing delivery time to clients and partners, increasing efficiency and productivity, and reducing overall expenditures. Companies are seeing a shift towards cloud-based video conferencing versus the traditional in-room hardware approach to video conferencing. This is for several reasons. Cost is a major factor. However, one of the primary underlying factors is that businesses are more global, dynamic, and agile now. On-premise hardware and systems are no longer feasible when employees are located around the globe and working in different time zones with different devices. Cloud-based services immediately eliminate expensive hardware and installation costs prevalent with previous video conferencing. Another advantage, according to Videxio’s Whitepaper, is that “switching to cloud is fully-managed technical support that allows businesses with limited or no in-house IT expertise to harness the benefits of video conferencing.” Cloud services were developed with the intent of making its installation and usage processes easy and carefree. A final advantage of cloud video conferencing reliance is that it meets the demands of the new and changing workforce. Those being hired today are the portion of millennials who grew up with technology at their fingertips. As previously mentioned, their productivity statistically increased when surrounded by fast and advanced technology that they are comfortable with. Training will be less taxing and time-consuming since the average millennial has quicker adaptation skills to technological advancements. It all returns to the primary point that modern-day users know what technology is required to accomplish business tasks and objectives efficiently and effectively. With rapid changes in the demographics of the new workforce and technological advancements, it is only feasible that businesses invest in new and improved devices and services to reduce expenditures and improve productivity. AV technology has been witnessing significant advancements in terms of microphones, displays, digital signage, collaboration, and the cloud. R&D efforts in this industry are now eligible for Federal and State Tax Credits. Amongst the many, this is just one reason companies are investing in innovative efforts that will undoubtedly propel businesses and consumers into a future heavily reliant on advanced audiovisual technologies.